Increasingly these days, many young people are deciding to follow their dreams; starting businesses for profit and charity, exploring the global business landscape and erecting landmarks on it. 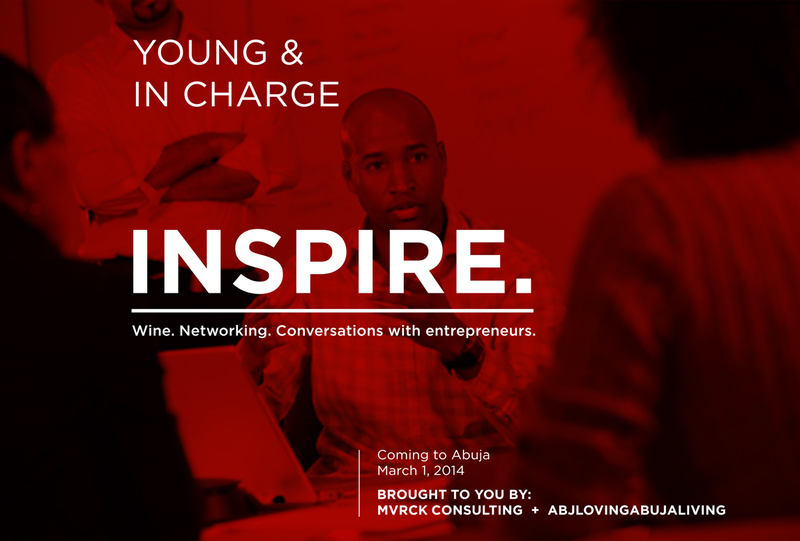 At Inspire, on the first of March 2014, we will be bringing some of these young people together for a day of wine, and of in-depth conversations with each other, and with those who have blazed the trail before them. Our objective is to get the next generation of business and industry leaders talking, with each other and with the generation they will succeed; sharing ideas or simply refining them; giving pace and direction to their visions. Because we realize it is easier to go far when we go together. We are taking superhero baby steps.